Track student progress and quizzes to know where they stand on each course they take. 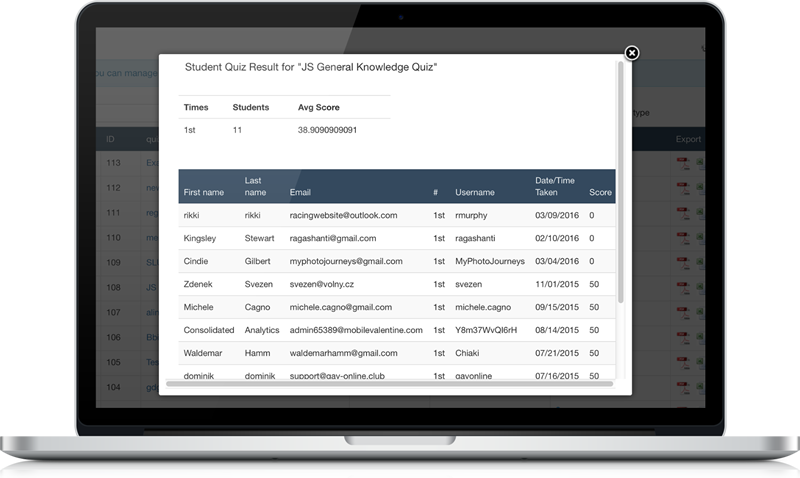 Our Joomla LMS component allows you to track your students progress and also have quiz tracking built in! The course manager now shows the number of students enrolled in each course. You’ll be able to click to see which students have enrolled. Check where each student is in the course (right down to module and lesson). And review your students’ quiz results so that you can see how much they’re learning. In fact, that quiz tracking feature won’t just tell you the results. It will also show which quizzes each student took, as well as the score for each attempt, the dates they took it and the number of times they tried.